There was no winner of this weeks lotto jackpot of €6,400 which is currently the biggest jackpot in the region! €20 winners were Margaret Downes, Ian Finneran and Noel Higgins. Next weeks draw takes place in Mattimoes. Well done to club players Steve Tonry, Michael Tormey and Donal Kelly in the All Ireland Masters at the weekend. Unfortunately they have to do it all again after a draw against Mayo. The McGovern Directional Drilling sponsored Senior team were well beat in the final match of the championship at the weekend. 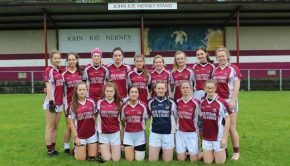 The Moylurg sponsored ladies play St. Mary’s in the Championship at 11am next Sunday 23rd in Tulsk. 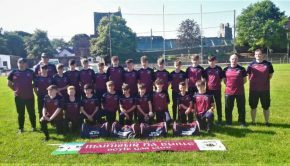 The Enhance Health & Beauty sponsored U14’s play Shannon Gaels in the Div 1B Co final at 4.30pm on Saturday 22nd September in Tarmonbarry. Please support the girls. 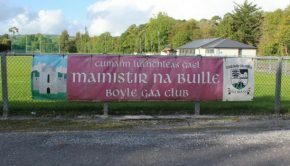 Boyle Ladies Committee have Roscommon County Board LGFA confined draw tickets to sell. Proceeds of the draw go towards the development of football across all age groups. Tickets are €50 and cover 26 draws. €500 to be won every 2 wks (€350 to the winner and €150 to the selling club). If you wish to purchase a ticket please contact Cathy Garavan 086 8616394 or any member of the committee. 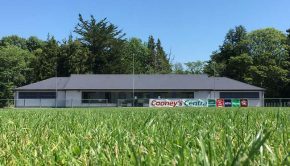 Sympathy of the club to the Casey and Regan families on their bereavement. U14 Division 1B final v Shannon Gaels will be played at 4.30pm in Tarmonbarry on Saturday 22nd September. Please support the girls. Minor Division 3 Boyle beat St Michaels. U12 Division 5B Championship Boyle v St Michaels conceded by St Michaels. U12 Division 2 Championship Boyle 0-27 St Brigids 0-17. U16 Division 1 Boyle beaten by Padraig Pearses. Sunday September 23rd U14 Division 1 Final Boyle v Roscommon Gaels, time and venue to be confirmed. Congratulations to National Automation Boyle Minors who qualified for the Division Championship Final. Date and Venue to be confirmed. As excitement builds around Boyle with the up and coming U14s Division 1 Championship Final next Sunday as our lads go head to head with Roscommon Gaels. The lads have trained hard all year. The coaching staff of Noel, Jim, Brendan and Steve have put in the hard graft and commitment with the lads. The effort of players and coaches has come to fruition as they rightfully take their place in the final. With a very successfull season so far, by reaching the semi final of this years Feile and having gone through the Championship winning all league games. The lads will not take their opposition likely having already gone head to head with Roscommon Gaels on couple occasion and losing out in the Garda Cup semi final to Michaels Galveys/Eir Og recently . Both time and venue yet to be confirmed but it look surely to be a brilliant game and we expect that Boyle town will turn for the lads as they look to try and claim U14 Division 1 title.